When prominent pilots were dying in the 1900s some people started to wonder if aviation really had a future. 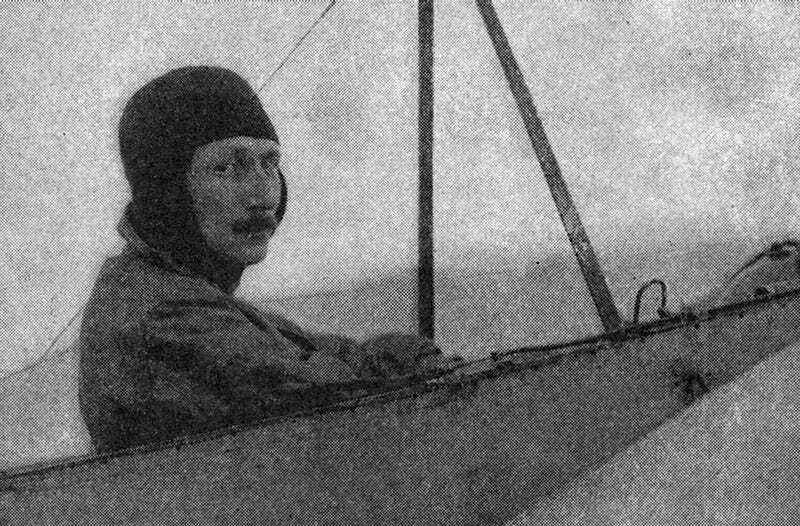 French daredevil Leon Delagrange died in early January of 1910, leading magazines like the Literary Digest to have doubts about whether air travel could become a serious means of transportation. “The death of Leon Delagrange, crusht under the wreck of his falling aeroplane at Bordeaux last week, raises again the question whether the aeroplane is not to be classed with the tightrope and the loop-the-loop,” read the January 15, 1910 issue. And the Literary Digest wasn’t alone. Serious-minded science and technology magazines had concerns that people weren’t being practical about the limitations that modern aviation faced. The December 1909 issue of The Engineering Magazine perhaps best summed up the concerns. Emphasis mine. As a scientific achievement, as a demonstration of cool nerve, or as an example of control of brain and muscle, cultivated to the point where it becomes instinctive, Wilbur Wright’s flight up the Hudson on October 4 is memorable. But the leap by which popular imagination flies to the interpretation that this performance establishes commercial supremacy of the aeroplane is purely fantastic. Emotion has run away with reason. We do not query the interest or excellence of the Wrights’ mechanical achievement. There is no reason apparently why they should not vastly better any recorded performance—fly thousands of feet high, or hundreds of miles in distance. Our skepticism is only as to the utilitarian value of any present or possible achievement of the aeroplane. We do not believe it will ever be a commercial vehicle at all. We do not believe it will find any very large place in the world of sport. We do not believe its military importance is as great as is commonly supposed, or will extend (except accidentally) beyond the range of scouting and courier service. Even here it remains wholly indeterminate how much (except mutual destruction) can actually be accomplished by men in flying-machines, if other men in other flying-machines are trying to prevent the accomplishment. And even the attempt must always be limited by the absolute dependence of aerial navigation upon weather conditions which in most places and in average seasons exist during only a minor fraction of the time. It’s sometimes difficult for people to remember that technology sputters along in fits and starts. With hindsight we remember the first powered flight of the Wright Brothers at Kitty Hawk in 1903 and more or less skip over the next decade in collective memory. We believe that since we conquered flight, that humanity must have more or less immediately used it for transporting people and goods. But, of course, that wasn’t the case. The airplane still had to prove itself in many ways. And respected people in respected publications were saying rather bluntly that not only would the airplane not be used for commercial purposes anytime soon, it would never be used for them at all. As the Literary Digest suggested, maybe airplanes were just novelties like the tightrope walker. History would prove these people wrong. But history would also largely forget that there was ever a question that aircraft would zip around the skies transporting people and goods. There was nothing inevitable about the future, despite it always feeling that way—whether we’re talking about air travel, smartphones, or politics.